"I'm Only Here To Drink Beer"
Mitch was the first guest at the debut of the NashvilleEar.com Songwriter Stage at Bost Harley-Davidson, October 2, 2010.. I met Mitch and his lovely wife Gloria for drinks at the Nashville Palace a few months before he played our stage. Mitch brought me" Wickles" from Alabama. They are really nice people. Since then Mitch has been visiting to Nashville on a fairly regular basis. 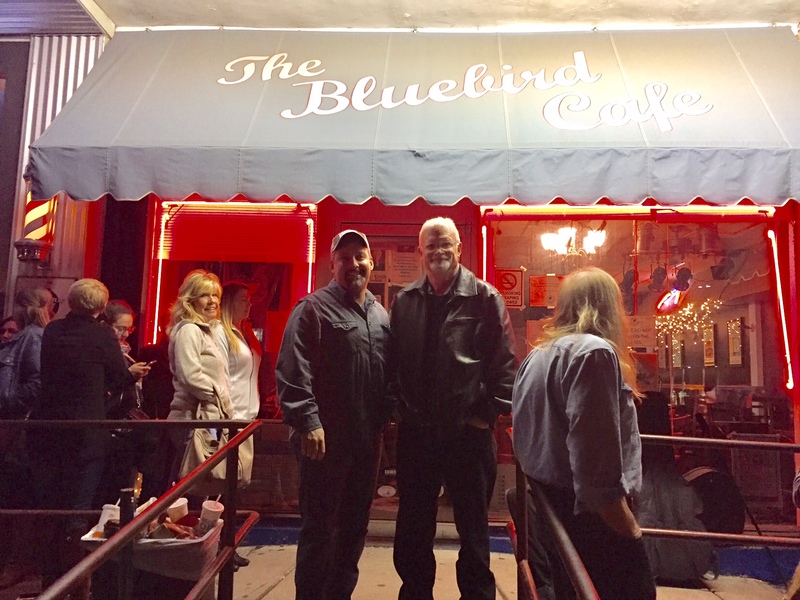 He has played the Bluebird Cafe with Jeremy Dean as well as the Pavilion Coffee House , Meridees and several other Nashville Live songwriter venues. Mitch visits Nashville from time to time to co-write with other songwriters and just visit . I have no ambitions as a recording artist. I write songs. My aspirations are to associate with an established Nashville-connected publisher/writers group and to develop my craft for true artists and performers. I saw a slogan once that read, "Life is what happens to you while you are busy making plans of your own." That pretty much is my story. Some years ago I wore out shoe leather and racked up a lot of highway miles trying to launch a songwriting career. From Muscle Shoals, Alabama, to Nashville, Tennessee, I knocked on doors, wrote letters, made phone calls, mailed demo tapes, and played my catalog anywhere and for anyone who would listen. I got close to getting a leg up but the path turned ...fast forward. Yep, life's happening, but I truly got lucky. I'm blessed with a wonderful family and a rewarding career. I've been able to keep the music alive having fun with a great bunch of local musicians who actually are like family. More importantly, the kids are grown, educated, and well on their way. We did it! -- AND -- thanks to a family and friends who won't let me quit, I still write songs. Just maybe, that early plan still has some potential...meanwhile, I'll have fun writing and showcasing my songs.